Once you win the tickets, come by my table and say “Hi!” You can also purchase tickets here. 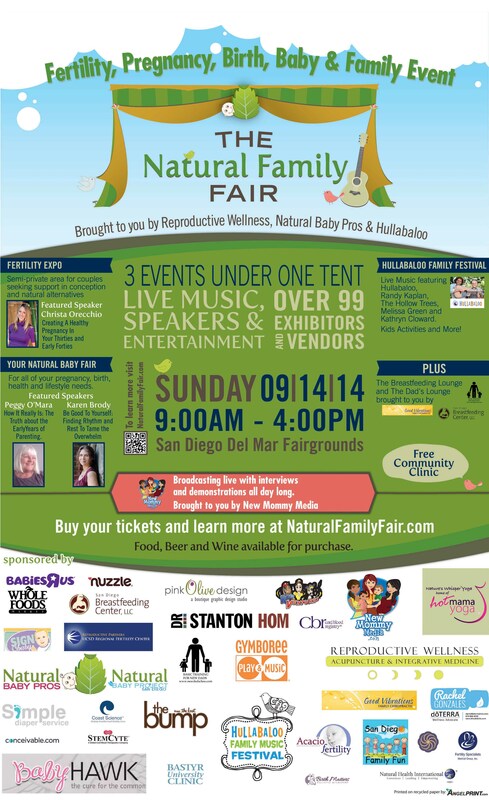 This year’s event combines three events in one: a baby fair, a fertility expo and Hullabaloo’s annual music fest. The fair is 9:00 a.m. to 4:00 p.m., Sunday, Sept. 14. Tickets are $10 for adults and children are $7. Goodie bags will be given to the first 250 families. Family Packs and VIP packages available for pre-sale, including a Babyhawk carrier and other full-sized products. The contest has ended. But you can still enter to win tickets at Baby Birds Farm — the contest there ends Monday night. I’ve never gone…I would love check it out! Shared this with my SoCal friends, which I was there to check it out! Thank you Laura! Too bad you aren’t close any more.